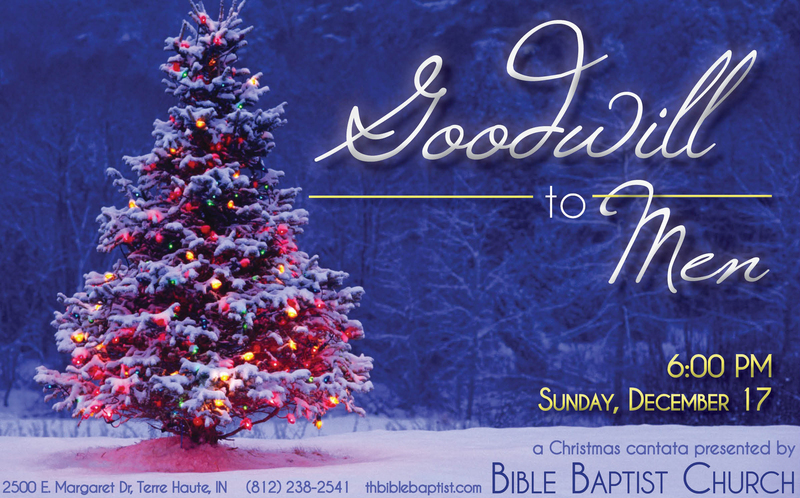 You and your family and friends are invited to join us on Sunday, December 17, at 6:00 PM, as Bible Baptist Church presents the Christmas program entitled Goodwill to Men. During the program we will watch as a struggling shopkeeper, an old shepherd, and a spunky thrift store shopper are reminded of God’s grace and forgiveness. Don’t miss out on this special Christmas drama. Admission is free and nursery for 0-2 year old children is provided. Loved the cantata, loved the message. the singing and the actors were great..